Welcome to our latest round-up of arcade related headlines. between Bushnell and Ted Dabney (left in the picture rockin’ a handlebar mustache). It was in Dabney’s home that the pair designed the first commercial video arcade game, Computer Space, under the company name Syzygy. 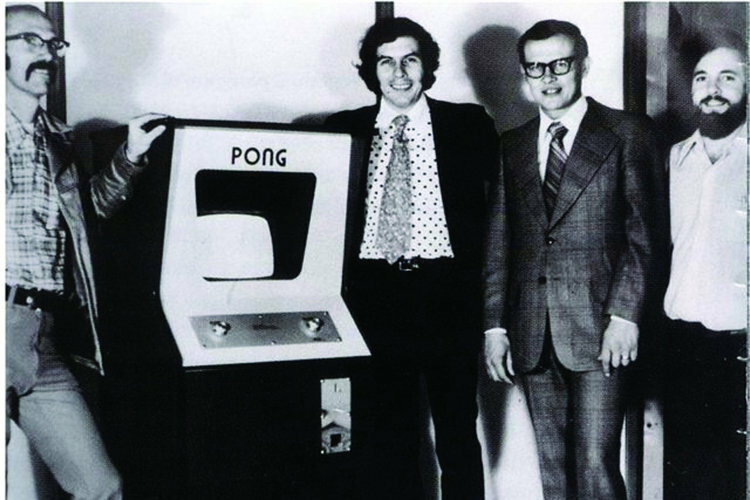 That design used an ingenious method of decentralized processing also set the stage for PONG, which would be the catalyst for turning the video game business into what it is today. Dabney wasn’t at Atari for very long, after that he went on to Meadows and designed Flim Flam, a PONG variation with a unique feature for manipulating the ball mid-flight. He also has credits for Cobra Gunship by Meadows. Mr. Dabney didn’t seek out the spotlight, especially in modern times where interest in video game history is at an all-time high. I never knew him personally but from a few I have seen talk about him, they said he was one of the most down-to-earthIf you want the whole story then I would highly recommend picking up the book, Atari Inc. – Business Is Fun. RIP Ted. 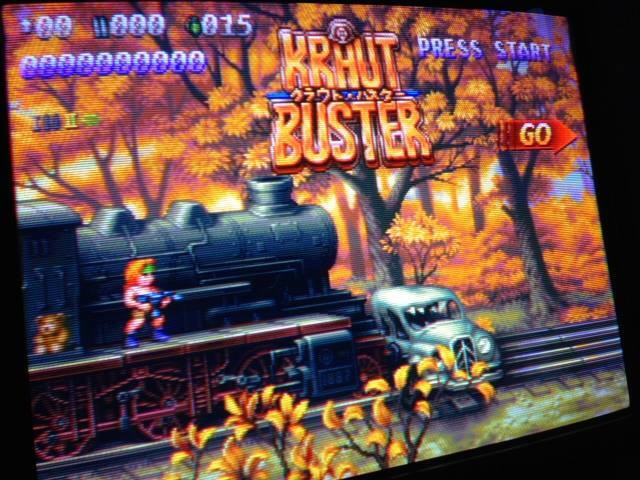 NG:Dev Team went on to Facebook this week to provide a detailed update on their upcoming NEO GEO MVS & AES run’n gun game, Kraut Buster. Perhaps the most important piece of news from that is the game is now aiming for a July release, with the first batch of PCBs being ordered in June. They get into why the game took longer to finish than they had anticipated, that mainly boiling down to time consumption behind pixel art and adding large amounts of said art for more parallax effects in the game. Either way, if you’ve been patiently waiting for this one to hit arcades, that wait is almost over. A couple of weeks ago, we pointed out an increase in factory made videos by arcade game makers. The trend continues with Adrenaline Amusements resurrecting their video channel from the dead. Here’s a trailer they posted for Tomb Raider (now shipping for any venue to grab); their channel also has content from Rabbids Hollywood. We’ll follow that up with a video I received from Raw Thrills of an alternate attract mode for Teenage Mutant Ninja Turtles and a new direct capture posted by an advertiser on AH (PrimeTime Amusements) of the 2nd trek on the new Buckzilla update. Enjoy! 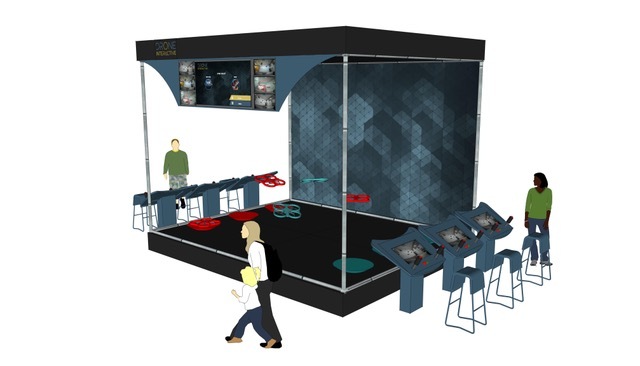 Arcadrone To Bring Drone Gaming To Arcades? Perhaps! With FECs demanding larger game attractions than ever before, it seems that it is only a matter of time until someone out there comes up with an arcade machine where you fly a real drone around. That someone might just be a company out of France called Drone Interactive. They are currently developing Arcadrone, a game that by this early appearance does seem to be following a pattern of how one would ‘arcadify’ such a concept. There are problems with this of course – cost, space, designing something compelling to play beyond flying a drone around, etc. Read more about it at Blooloop – hopefully this one will find it’s way to IAAPA 2018. Thanks to Stingray Travel for the tip on this one. That’s all I’ve got for now. For those in the US, have a great weekend everyone!